so that they feel loved, understood and inspired. Hello, my name is Yong Kang, best known as Nerdy Creator online. I’m a self-help author, introvert (INFJ) and book lover who lives in Singapore. … you would love it here! You’ll never see me fighting for a cause because I don’t believe in fighting. Fighting put people in opposing parties. I prefer peace and harmony. I believe in using stories and words instead. Storytelling is the best way to communicate important messages without isolating anyone. Stories make us reflect on ourselves and our lives. They help us understand a different point of view. They give us the space to learn. And that’s why I love stories. This blog exists because of YOU. I started blogging in Feb 2013. And if it’s not for the kind comments I received from you all, I would have given up writing a long time ago. I’m especially touched whenever someone said they could relate to my experience. Actually, I am a very quiet and private person. In fact, I’m an extreme introvert. I don’t like to talk about myself. If you know me in person, you would seldom hear me speak. When I was a kid, I used to write to myself a lot to cheer me up. I know my writing can lift someone up when they are down. What I realized too from blogging is that readers get inspired and learned more about themselves when I shared my insights. So I wouldn’t want to miss this opportunity to help someone else with my writing. And that’s why this blog continue to exist. I always love writing and reading. 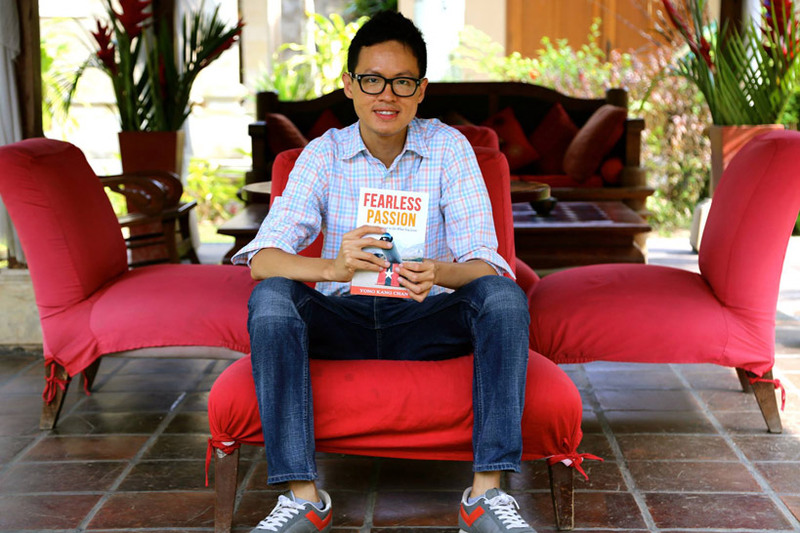 So I wasn’t surprised when I wrote my first book, Fearless Passion. But it took me a long time to commit to this path. I began my career as an auditor and then an accountant, but I felt very unfulfilled. I wanted to do something more creative and less routine. So I ended up studying animation. But after I completed my animation studies, I didn’t apply for an animation job immediately. Instead, I saw a program by Jack Canfield and I was compelled to write my own book. So I delayed my job search and started writing my book, Fearless Passion. A book that inspires others to do what they love. My dream is to be a full-time writer someday. After a year, I published my book and went to Malaysia to become an animator. Unfortunately, it didn’t work out. And it took me another year plus depression to realize that I am a writer. I’m currently private tuition to students, but my dream is to be a full-time writer someday. Slowly but surely, one book at a time. You can check out all the books I have written here. All experiences help us grow. Treating everyone with love, acceptance and kindness, despite our differences. Continuous learning and personal growth. Having the freedom to create. Making things simple and easy to use. If you believe in what I believe, come on board! I would love you to be part of my community. Enter your name and email below to get my free quiz and short story on self-love.